This article is cross-posted from The Tax Justice Network Blog. Switzerland, the United States, and the Cayman Islands are the world’s biggest contributors to financial secrecy, according to the latest edition of the Tax Justice Network’s Financial Secrecy Index. Financial secrecy is a key facilitator of financial crime, and illicit financial flows including money laundering, corruption and tax evasion. Jurisdictions who fail to contain it deny citizens elsewhere their human rights and exacerbate global inequality. Switzerland, the global capital of bank secrecy, retains the worst ranking, and the US has moved up to second. With Bahrain and Lebanon dropping out of the top ten, Guernsey and a new entry in Taiwan has replaced them. The US’ rise in the FSI 2018 rankings is part of a worrying trend. This is the second time in succession that the USA has risen up the Financial Secrecy Index. In 2013 the States was in 6th place, and in 2015 it took 3rd. In 2015 the country was one of the few to increase its secrecy score. This time the increase in ranking is driven by a huge rise in their share of the market in offshore financial services that wasn’t neutralised by a significant reduction in their secrecy. In total, the share of global offshore financial services taken by the United States rose by 14% between the 2015 and 2018 index from 19.6% to 22.3%. The United States remains a secrecy jurisdiction as it refuses to take part in international initiatives to share tax information with other countries, and has failed to end anonymous companies and trusts aggressively marketed by some US states. There is now real concern about the damage this promotion of illicit financial flows is doing to the global economy. The 2015 Index noted several improvements towards global financial transparency following the 2008 financial crisis and the huge budget deficits that it created, where governments around the world sought to reign in tax abuse by its citizens, and by multinational corporations. Some of those efforts are now starting to bear fruit. Most importantly, countries have now started to exchange information on bank accounts held by foreign citizens in their jurisdictions on an automatic basis. But this Financial Secrecy Index demonstrates how ten years on from the financial crisis all countries still have a long road ahead of them to improve their performance on financial secrecy. The most transparent country – Slovenia – has a secrecy score of 41.8, out of a total possible score of 100. A score of 0 would represent ideal, competition and market friendly transparency. In other words, if the Financial Secrecy Index were a school exam, Slovenia (the best student) would have barely passed, with less than 60% of the correct “transparency” answers. The worst countries only got close to 10% of the “transparency” questions right (a secrecy score close to 90). Following this analogy, practically all countries would have to repeat the school year. The top two countries in this year’s FSI are the two that have been most resistant to the key policy of automatic information exchange between tax authorities. The US refuses to take part altogether. Instead, it has set up its own parallel system (FATCA) which seeks information on US citizens abroad, but provides little, if any, data to foreign countries. 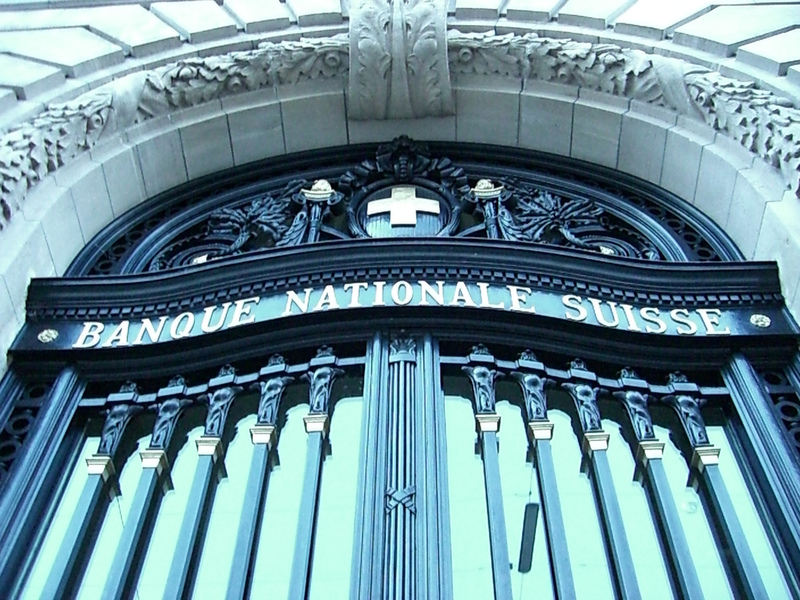 The global capital of banking secrecy, Switzerland has delayed the implementation of automatic information exchange, and in 2017 lawmakers attempted to stop it altogether with countries they deemed ‘corrupt’. As the FSI demonstrates, countries like Switzerland are fundamental to the flow of illicit financial funds, such as the proceeds of corruption. Switzerland’s attempts to stop transparency for funds they receive from countries with perceived high levels of corruption will simply make tackling corruption in those countries harder. After the financial crash further scandals have led to a greater push for more transparency, such as the demand for public registers of company owners. Yet this progress has been difficult, as powerful vested interests working with friendly governments seek to frustrate change. The UK government for example continues to insist on the right of its satellite tax havens to maintain the secrecy of company ownership, and the German government, with others, have sought to impede attempts to make progress on the beneficial ownership issue within the European Union. Six out of the Top 10 FSI 2018 countries are either members of the OECD or their dependencies. Another three are Asian tax havens, demonstrating how major economies are driving the market for financial secrecy. Kenya, which this year set up its own tax haven in the form of the Nairobi International Financial Centre, is an example of how interests of western financial service lobbyists have successfully lured governments into a race to the bottom. Kenya, which has been assessed for the first time in the 2018 FSI, has an extremely high secrecy score of 80/100. By harboring the ill-gotten gains of kleptocrats and tax evaders, secrecy jurisdictions deprive governments of the resources needed to provide basic social protection and encourage the looting of natural resources. This impact of financial secrecy on the abuse of human rights is increasingly recognized globally. Switzerland has been sharply criticised by the United Nations for the damage that its financial secrecy causes to human rights around the world, while a recent statement by the UN Special Rapporteur on Extreme Poverty and Human Rights, highlighted the poverty and inequality suffered by citizens of the United States, in part driven by their government’s desire to become a tax haven. This statement comes at a time when our index shows the country undermining rights elsewhere through its promotion of financial secrecy. The Financial Secrecy Index is the world’s most comprehensive assessment of the secrecy of financial centres and the impact of that secrecy on global financial flows. The European Commission’s Joint Research Centre provided methodological support for the construction of the index. The study is published every two years and is founded on published, independently verifiable data. In contrast to some so-called ‘blacklists’ of tax havens, inclusion in the FSI is not based on political decision making. Countries are assessed against criteria which include whether companies, trusts, and foundations are required to reveal their true owners, whether annual accounts are made available online in open data format or the extent to which jurisdictions’ rules comply with anti-money laundering standards (FATF’s 40 recommendations). This year several new indicators have been added to the FSI and existing indicators have been substantially revised to drill deeper into questions around ownership registration and disclosure. A total of 20 Key Financial Secrecy Indicators (KFSI) is used for the measurement of the secrecy score. In order to create the index, a secrecy score is combined with a figure representing the size of the offshore financial services industry in each country. This is expressed as a percentage of global exports of financial services. The bigger player you are, the more responsibility you have to be transparent. Beyond of what has been achieved so far by academic or regulatory institutions, the new FSI is the most comprehensive and rigorous assessment of financial secrecy worldwide. Mandatory reporting obligations of tax avoidance schemes (KFSI 11). Further details of how the FSI is calculated are available on request. The 2018 FSI sees the inclusion of Taiwan for the first time in the FSI, coming in at number 8. This means that Taiwan is a significant player in the global market for financial secrecy. The political difficulties in conducting business with neighbouring China has led to the creation of an offshore financial system particular to the island called Offshore Banking Units. This case highlights the damage being caused to the global financial system through China’s “One China” policy where it uses its influence to prevent Taiwan from joining international institutions and entering into agreements with foreign countries. As a result of the policy, Taiwan is the world’s largest economy that is not a member of the UN or a member of the OECD Global Forum on Tax Transparency. The UK has made good progress in tackling domestic financial secrecy. For example, it has implemented a public register of beneficial ownership of companies. However, the British government still continues to protect the status of the overseas territories and crown dependencies, where much of the dirty business is done before reaching the City of London. These countries include some of the most notorious secrecy jurisdictions such as the Cayman Islands, number three on the 2018 FSI, and the British Virgin Islands, ranked 16. Although there have been some attempts by the UK Parliament to impose registers of beneficial ownership on the overseas territories and crown dependencies, these efforts were halted by a surprise General Election in 2017. Another attempt to impose these rules though the legislature in 2018 failed when it was opposed by the government. In recent years, the government of the UK refused to impose more financial transparency on these territories, especially with regard to trusts. To the contrary, it has actively protected them from international scrutiny, for example, by lobbying to remove them from the EU’s list of tax havens released in 2017. George Turner is a writer and researcher with the Tax Justice Network.